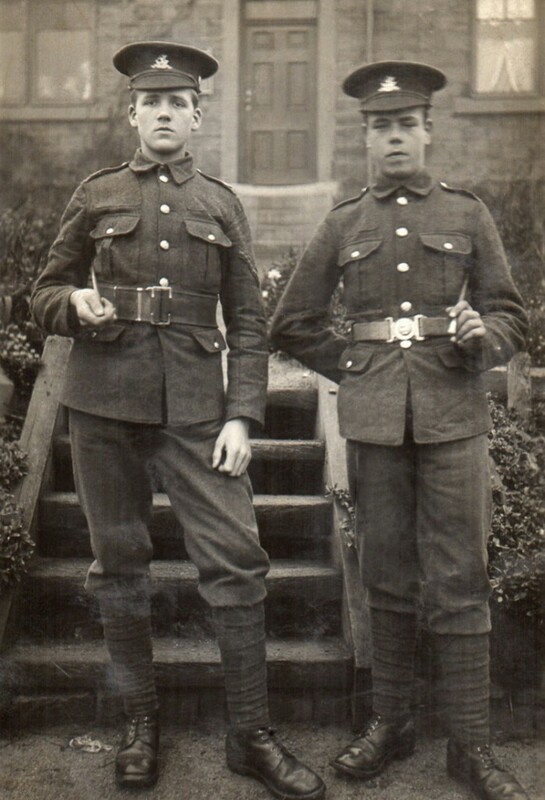 This photo is of Herbert Butterworth and Frank Boyes in their uniforms, Herbert is the one on the right. The photo was taken in either autumn 1914 or spring 1915 and is believed to be taken outside Herbert’s family home, “Glen Villa”, Pudsey Road. Both lads enlisted in September 1914, under age, into the 8th Battalion of the Duke of Wellington’s (West Riding Regiment). Both were killed at Gallipoli as part of the Suvla Bay landings, neither of their bodies were found and they are remembered on both the Helles Memorial in Turkey and on the World War One Roll of Honour in St.Peter’s Parish Church Bramley. Frank died age 16 on 9th August 1915 with the rank of Corporal. He was the son of Arthur Spence Boyes and Fanny Boyes of “Ferndale” Bramley. Herbert died age 17 on 12th August 1915 with the rank of Private. 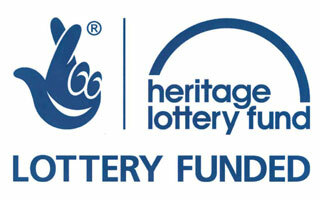 He was the son of Arthur Wilson and Hannah Butterworth. We are indebted to Herbert’s relative, Vanessa Worship, for providing the photograph and detail about these two friends.